said on Thursday it would launch scheduled commercial flights from the United States to Cuba on Aug. 31, ahead of competitors that have also announced departure dates. The former Cold War foes agreed last year to restore regular airline services after more than five decades as part of a broader detente in which they also resumed diplomatic ties. U.S. travel to Cuba was long an expensive and complicated endeavor. Given a U.S. ban on tourism to the island, most Americans could visit only as part of an organized group tour. Even when U.S. President Barack Obama eased travel rules earlier this year, allowing Americans to travel independently to Cuba for educational, cultural and other authorized purposes, they still had to travel on chartered planes. 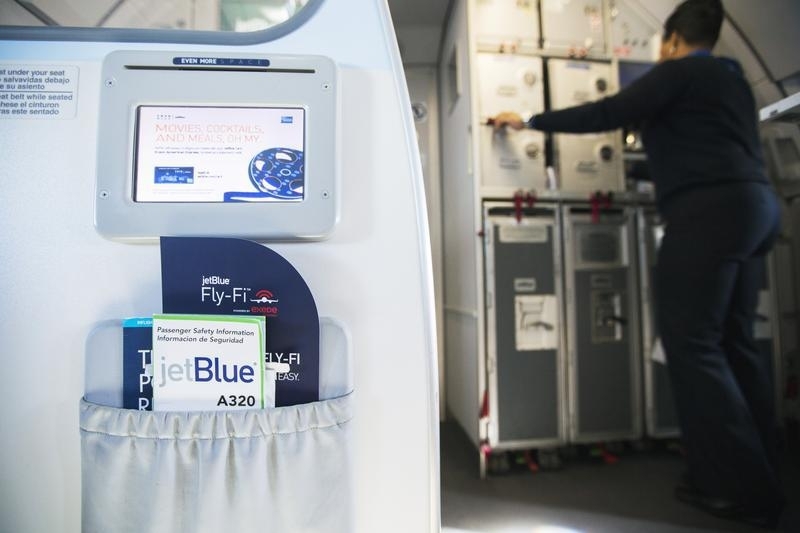 But from Aug. 31, JetBlue will launch thrice-weekly flights between the Fort Lauderdale-Hollywood International Airport and Santa Clara airport, with fares starting at $99 one-way. The airline will upgrade this service to daily flights from Oct.1, also offering daily flights from Fort Lauderdale to Camaguey from Nov.3 and to Holguin from Nov. 10. Silver Airways is set to be the second U.S. airline to operate flights from the United States to Cuba, launching service from Fort Lauderdale to Santa Clara on Sept. 1.
is to start its services from Miami to Cienfuegos and Holguin on Sept. 7, adding flights to Camaguey and Santa Clara on Sept. 9 and to Varadero on Sept. 11. Washington has given tentative approval for flights to Havana on eight U.S. airlines as early as this fall and expects to reach a final decision later this summer. U.S. airlines anticipate a bigger payout from Cuba than is typical for Caribbean destinations. Strong demand is expected from Cuban-Americans visiting relatives, as well as from executives hoping to evaluate commercial opportunities in Cuba.